I just made a Spotify playlist of Chinese and Chinese-born contemporary composers' works. These are not traditional Chinese music, just like Takemitsu's music are not Gagaku, though many of these composers did draw inspirations from the tradition. Just for fun, I also included Der Abschied from the new BIS recording of Mahler's Song of the Earth, in which the vocalists sang the original Chinese text of the Tang poetry, in Cantonese. Der Abschied was based on Tang Dynasty poet Wang Wei's 送別 (Farewell), you can find more about him on this page, it also includes a translation of his poem Hut Among The Bamboo, upon which Zhou Long set the first movement of his orchestral suite: Poems From Tang. About other titles of the works: Tu for Orchestra is from Zhou Long's wife, China's leading female compose Chen Yi, Tu means the picture or the map. Meng Dong means haze or ignorant, Wu Xing means five elements. Bright Sheng, Chen Qigang,Chen Yi, Ge Gan-ru, Lei Liang, Qu Xiaosong, Tan Dun, Zhou Long, Zhu Jianer, and the Butterfly Lovers(traditional). Tan Dun – Orchestral Theatre II, "Re"
Zhu Jianer – Symphony No. 4: Symphony No. 4 "6.4.2 - 1"
Click here for the Spotify playlist. Check out their full works if you like the sampler, most of these composers have more than one album on Spotify, just search for them yourself. 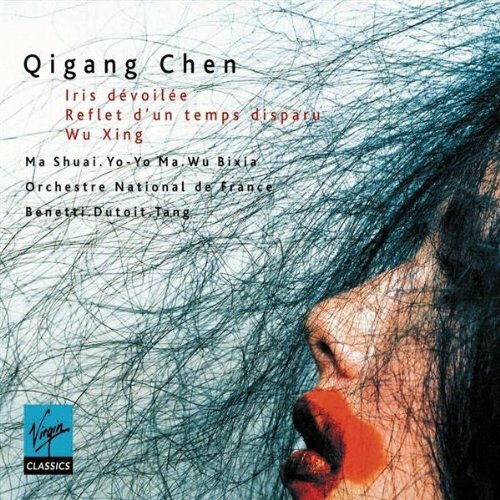 I hope Spotify will add some Wen Deqing and Wang Xilin's works soon. Click here to read Alex Ross' article "Symphony Of Millions" on the Chinese classical music scene. I just updated the post and playlist to add composer Ge Gan-ru's Chinese Rhapsody and link to his bio. Leave a comment if you want to suggest more entries. Thanks.